Services are provided up to 5 years/160 000 km (100,000 mi), whichever comes first. In the U.S., anyone driving the vehicle is covered. In Canada, a person driving the vehicle without permission from the owner is not covered. Roadside Assistance is not a part of the New Vehicle Limited Warranty. Buick and General Motors of Canada Limited reserve the right to make any changes or discontinue the Roadside Assistance program at any time without notification. 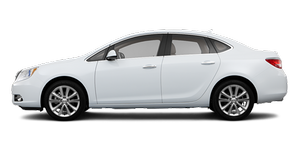 Buick and General Motors of Canada Limited reserve the right to limit services or payment to an owner or driver if they decide the claims are made too often, or the same type of claim is made many times.